D’Vash recently contacted me inquiring if I would be interested in trying their product and creating a a recipe. I am always game when it comes to that and I was really interested in their product after reading their story. Their product is a date nectar, very similar to what you would taste in a honey. It’s sweet, and really, really good. 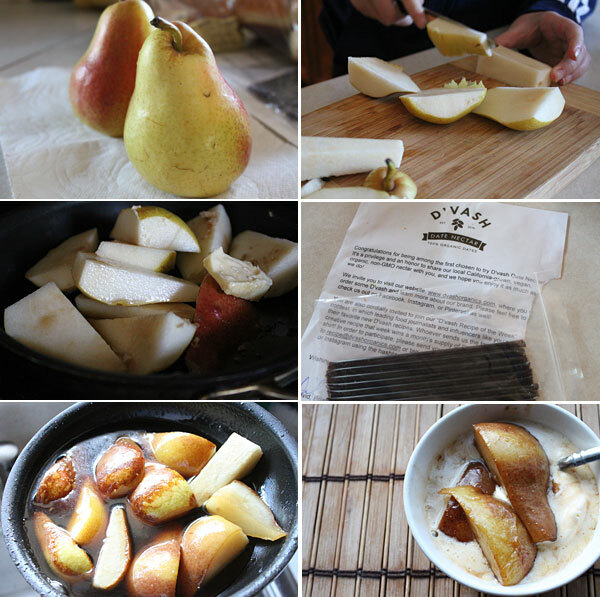 Their product came in straws and after my kids and I sucked down a tube or two, I decided that I would come up with a roasted pear recipe using this sweet nectar. It was a perfect treat to end our week, and a really nice dessert to boot. This recipe could not be any easier to make, and it is a perfect dessert. Start by heating a medium skillet on medium heat. Add the sugar, water, butter, and let the butter melt down. Next add in the pears and the date nectar. Give a gentle toss, and continue to cook for about 10-15 minutes or until the pears soften and the mixture becomes a thick syrup. 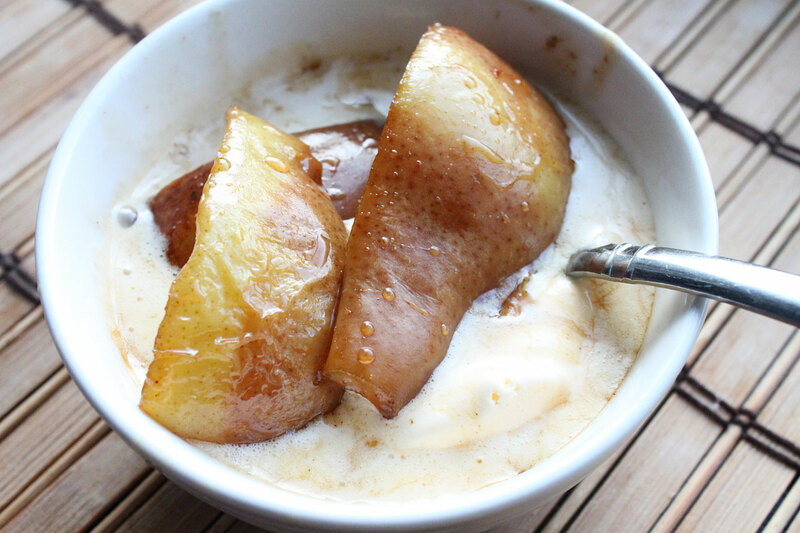 When you are ready to serve, scoop some vanilla ice cream into a serving bowl, and ladle in some pears and the sweet syrup. Dig in. The product that D’Vash is turning out is really great and my kids loved it. You can get their products online at D’Vash Organics.